* A demonstrated commitment to providing high-quality legal services for Indian people. CILS has four offices throughout California. Our Sacramento office provides legal services in 7 counties that include 18 of the 110 federally recognized tribes in California. AA/Clerical school degree preferred or previous clerical experience. Must be proficient in MS Office, other standard software programs; have excellent communication and typing skills; and experience with telephone systems. Must demonstrate the ability to interact with clients in a professional and courteous manner. CA driver’s license required. Knowledge of or interest in Indian communities and/or legal services is preferred. DOE. This is an hourly, full-time, non-exempt position at 40 hours per week. Generous leave policies and potential annual performance incentive. We provide family/partner medical, dental and vision benefits. 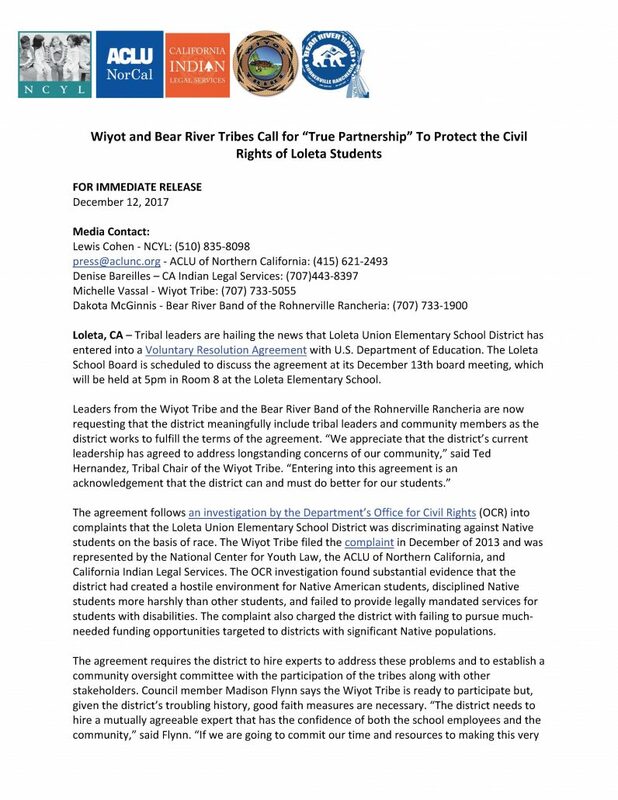 Please submit resume and letter of interest to Patricia De La Cruz-Lynas, Director of Administration, California Indian Legal Services, 609 S. Escondido Blvd., Escondido, CA 92025. E-mail EUR-hiring@calindian.org. 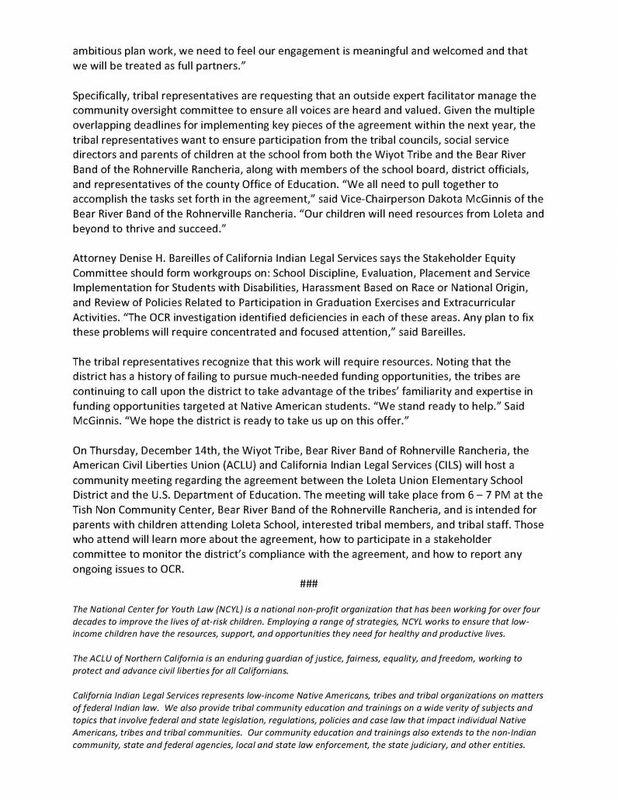 CALIFORNIA INDIAN LEGAL SERVICES IS AN EQUAL OPPORTUNITY EMPLOYER. NATIVE AMERICANS, MINORITIES AND THE DISABLED ARE ENCOURAGED TO APPLY. will be held at 5pm in Room 8 at the Loleta Elementary School. funding opportunities targeted to districts with significant Native populations. these problems will require concentrated and focused attention,” said Bareilles. children have the resources, support, and opportunities they need for healthy and productive lives. protect and advance civil liberties for all Californians. community, state and federal agencies, local and state law enforcement, the state judiciary, and other entities.